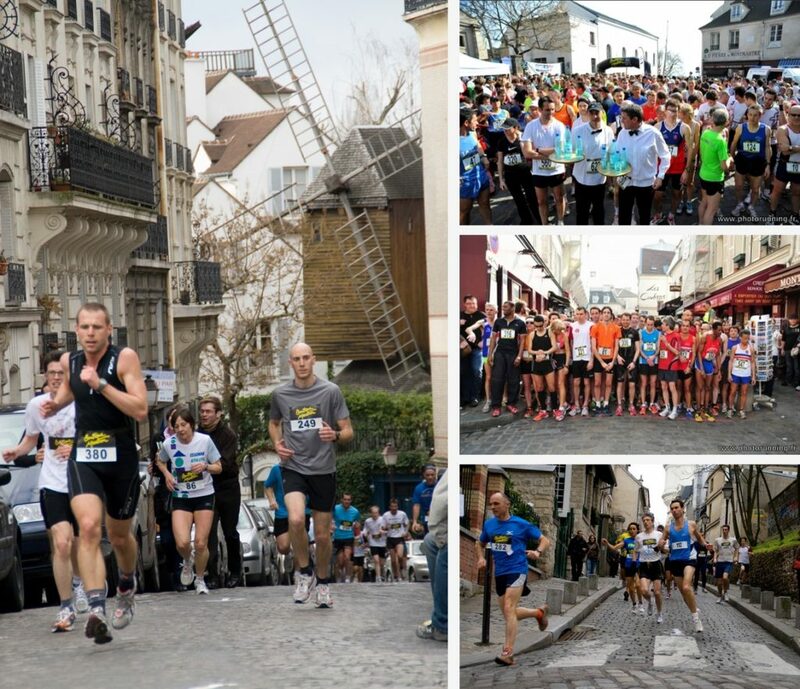 This 10K is a very original race in Paris, very unusual, with a start in the afternoon on a Saturday, but especially, taking place in Montmartre, among the tourists, which are many. Montmartre is a 130-metre-high hill north of Paris, a charming and well-known “village” in the 18th arrondissement of Paris. A hilly place? 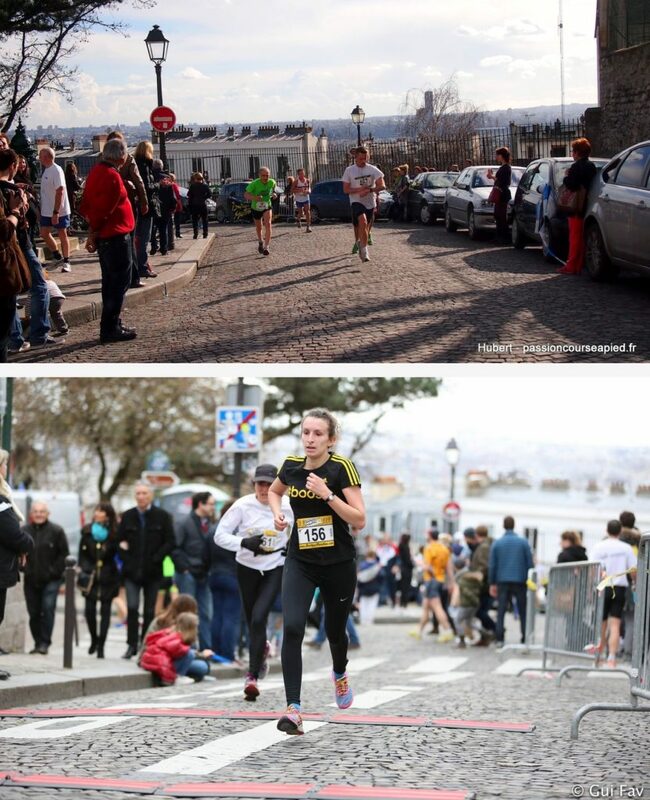 Yes, that day, the runners can experience it by running three loops rather steep, on the cobblestones of the Montmartre hill… the route passes in front of the “Sacré-Coeur” and the well-known “Place du Tertre”. We pass by the famous “Moulin de la Galette” (one of the two windmill, the Radet) but without seeing it, it is behind our back! 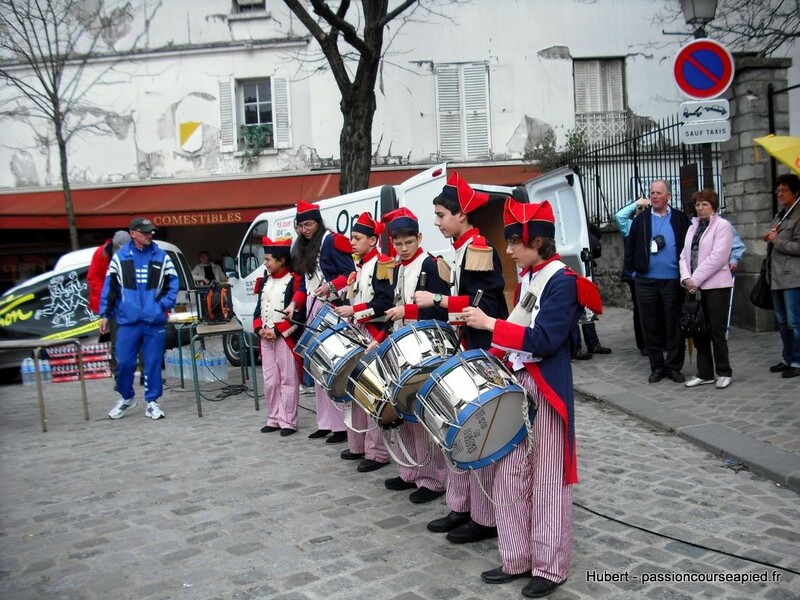 A difficult but very pleasant experience, especially because of its very typical atmosphere. 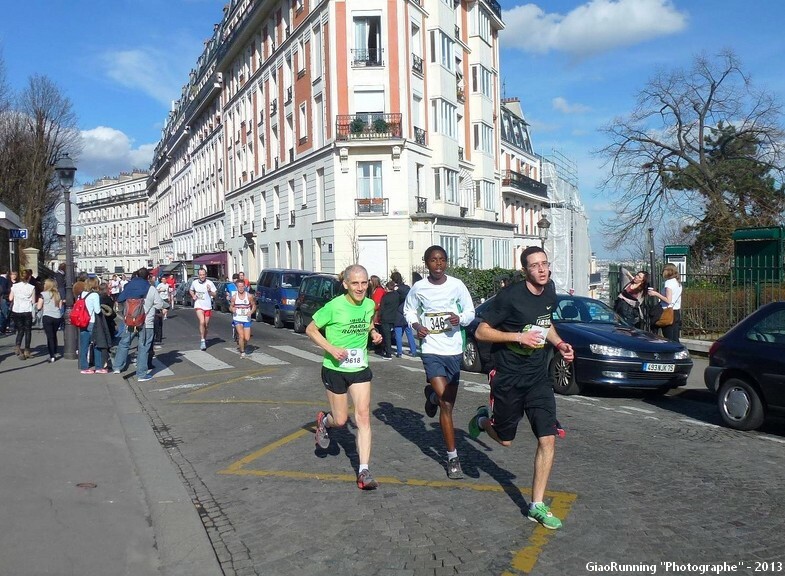 Among the organizers, our friend André, the famous “garçon de café” in a hurry, a big fan of Parisian races.